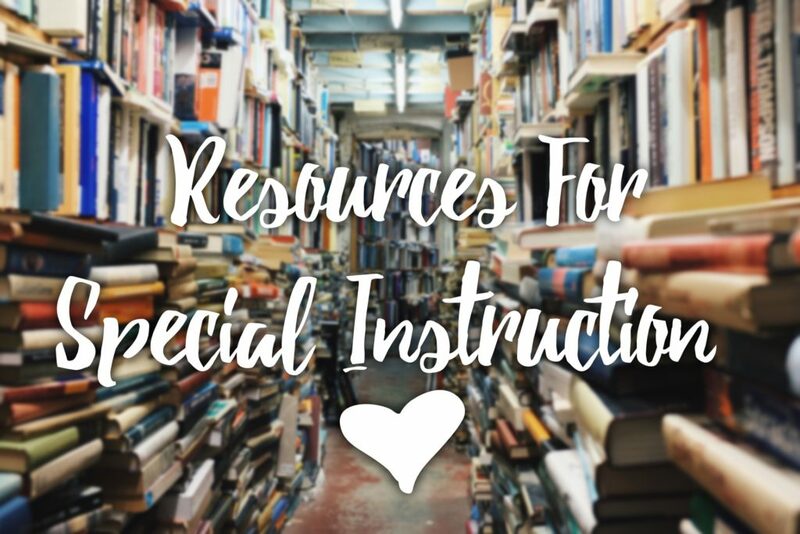 Some of my go-to websites in Early Intervention and Special Instructor Resource for inspiration and fresh ideas! This article is the gold standard for defining what a special instructor is. I find that reading it over once in a while keeps me focused on best practices. Working in the real world with a variety of professionals who all have different opinions about what “the right way” is… I can veer off course. The DEC has great publications too, including a professional journal. I’ve been to one of their annual conferences, too. It was amazing! Zero to Three – Zero to Three publishes an amazing professional journal that I fondly remember referencing in many a research paper in grad school. They also have resources for professionals and parents to guide you in best practices. NAEYC – Affectionately pronounced by some “Nay-see,” these guys wrote the book on Developmentally Appropriate Practice. Literally. I have the textbook. It was required reading in college. Also, they are the ones that certify child care centers on a national level. I have had the pleasure of working for a child care center as it was undergoing renewal. Those guidelines are tight. They too have a professional journal available as a member. Select articles are available for free too. Parent Center Hub is a parent-friendly explanation of Early Intervention topics. As well as training materials based on the Federal Guidelines of IDEA. It includes resources on a variety of SPED topics, not just EI. http://Virginia’s EI Strategies for Success One of my favorite Early Intervention blogs. You don’t have to be from Virginia to appreciate the content. An awesome resource for themed activities for infants and toddlers.